Summary: In this pearl chain necklace, my favorite version is always the one mixed with a strand of chain and fringe! That must bring lots of fun while whip this pearl and chain fringe necklace diy item up! 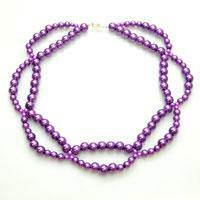 It’s a distinctive piece among plenty of necklace making ideas. So since you’re planning to design a piece of normal necklace for your own or some beloved ladies, it would be fun to do up this pearl and chain fringe necklace diy project, in which you’ll just need multiple strands of chain and several glossy pearl beads. How to DIY pearl fringe necklace with chains? 7. Make a mirror image for the other side. In my fringe necklace diy, the fringes are simply made up of chains and pearl beads. 3. Make another 10 pieces of elements out of headpin and pearl bead. Affix the chain segments to the central long chain one after one. Make the pattern be symmetrical. Add a large jumpring and your lobster claw clasp to the ends of necklace. Additionally, add on an extra chain to the side with clasp for a bit of cuteness you want. 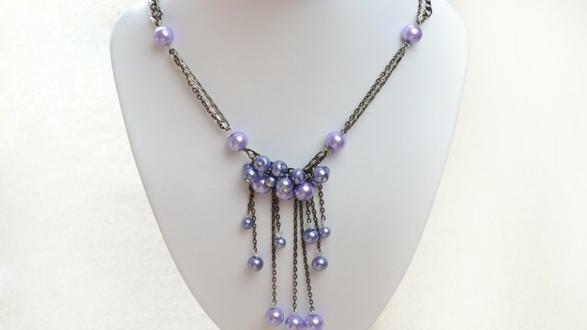 There you’ve finished off the funky pearl and chain fringe necklace diy project! The collocation of chains and pearl beads, cool feelings and feminine taste may further the necklace a sense of pretty and classic. And the amazing fringe will accent any of your outfit. What do you think? 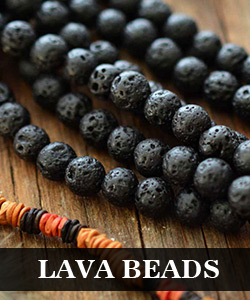 Isn’t an ingenious piece among the necklace making ideas?